In February, Shameka L. Jones, 24, was driving a 2001 Ford Expedition on I-75 near Bradenton, Florida, when she ran onto the shoulder. Twelve people, including nine children, were in the vehicle, and none of the children were restrained. A toddler was killed and an infant was seriously injured when the SUV went airborne, flipped several times, and struck some trees, according to the Florida Highway Patrol. Isaac Solomon, 2, was killed, and Issah Solomon, 6 months old, was taken to All Children’s Hospital in St. Petersburg with serious injuries. The other seven children sustained minor injuries. Shameka Jones is facing charges of DUI manslaughter, DWI injury (nine counts) and DWI serious injury. 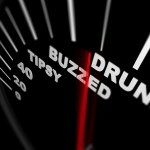 If you are charged with DUI in California, hopefully you’ll be more like most DUI offenders; you won’t damage any property or hurt anyone, and the charge will be a misdemeanor. 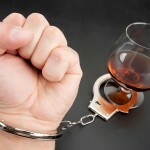 Contact an experienced Orange County DUI lawyer at once if you’re arrested and charged with DWI in southern California. California drivers really should entirely avoid drinking and driving. If you don’t drink before driving, it reduces your chance of hurting anyone else or yourself, and it eliminates the possibility of a DWI conviction on your record. If you plan to drive, don’t drink. If you plan to drink, call a taxi, a limo, a car service, or arrange for a designated driver. Even staying overnight with a friend is better than the jail, the hospital, or the morgue. 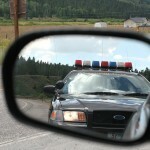 DWI is treated as a very serious crime in California, and the consequences of a conviction will follow you for years. If you face any DWI or DUI-related charge in Orange County or anywhere in southern California, contact an experienced Orange County DWI lawyer as quickly as possible. 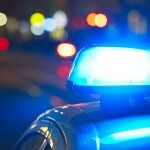 Help is here if you are charged with DUI, but you must take the first step and make the call.